Typically I write these posts from my living room work station, listening to the familiar music of the hostel: the babbling creek of Erlich’s bong water, the keyboard taps of Richard hard at work, the dueling banjos of Dinesh and Gilfoyle insulting each other as only two best friends can. 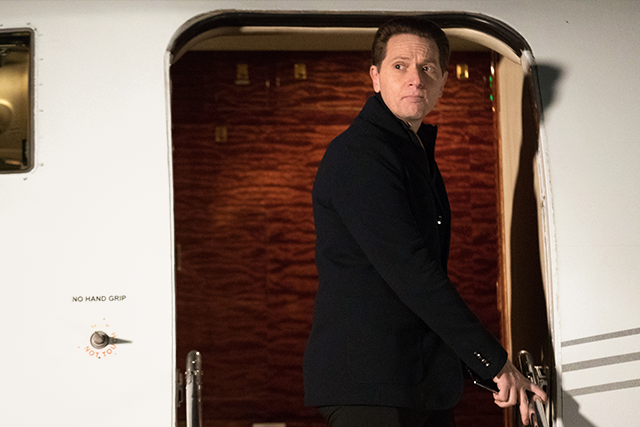 Today, however, there’s a new, silent yet utterly overpowering orchestra member in the room — a portrait of our recently announced partner, Gavin Belson! Yes, friends, as you may have read in Code/Rag, Richard and Gavin have joined forces to create the next Pied Piper product. And though Gavin is not physically here at this exact moment, he’s present in the spirit of business collaboration and a penetrating photographic gaze. Exciting! I’ll admit, the intervening days have been a bit of a roller coaster for me personally. During a recent meeting, I not only tragically flubbed a drumroll cue, but I also lost my temper on Bryce, Gavin’s transfusion associate, when he interfered with our presentation. It was no judgment on his profession — I actually find parabiosis to be an incredibly intimate demonstration of corporate loyalty, and it’s a pity Richard and I have incompatible blood types — but I had to defend my CEO. And sometimes defending your CEO means accessing reserves of anger you keep vacuum sealed like a guest duvet in the closet of your mind. But all’s well now! After taking in Frank Capra’s World War II propaganda classic “Why We Fight” over at the Stanford Theatre and a quick muffled scream into my Pied Piper jacket, I feel much better. I stood up for Richard, Richard stood up for Gavin, and my friend Gloria stood up for me when someone cut me in the popcorn line. Well, I’m off to watch the fellows drink a beer in celebration of Dinesh’s return to Pied Piper! Our hero Richard has returned! We were all shaken by his weeklong leave, even though the rest of the gents put on their bravest faces. They pretended they didn’t even notice the monumental absence at our work table, those stoics. I found ways to keep busy — arranging my button-down shirts by intensity of hue, and practicing my calligraphy, of course — but these were flimsy distractions. When Richard finally came home, I was happy to see a renewed sense of mission and a little color back in those cheeks. But I was surprised to learn he had taken on a new partner, whose name I won’t disclose but whose character is questionable at best. I knew that Richard would need protection, and I certainly couldn’t leave it to the Brett Saxbys of the world, who drink with abandon in the middle of the workday and skate by on charm. 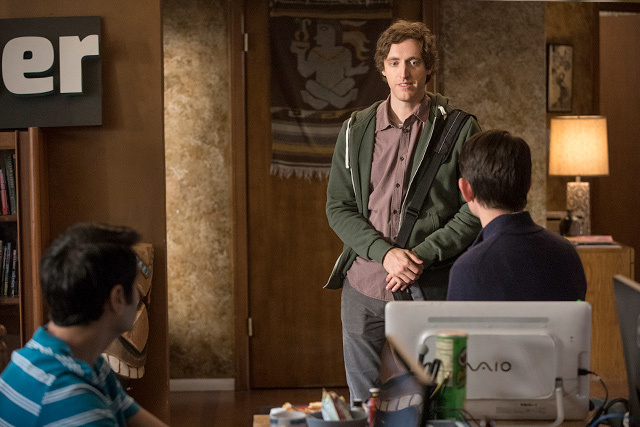 No, I had to rejoin Pied Piper. Being a part of Richard’s project is a dream come true, and that’s not a phrase I take lightly! (The last time I used it was when my third grade class visited the fire station, and the firefighters let me organize their gear.) One of my first orders of business? 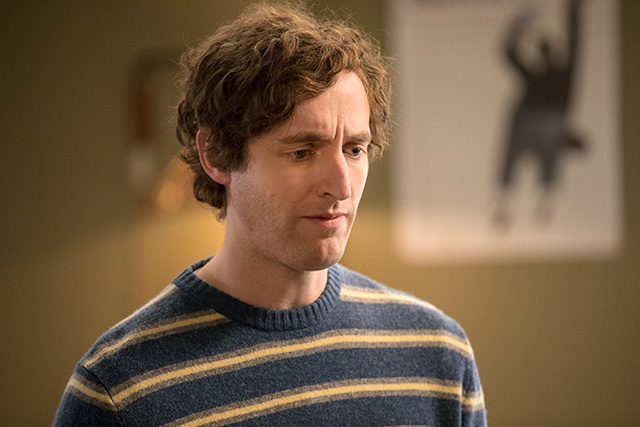 Cutting through the profanity-laden facade of Gilfoyle’s bravado and getting him back on our team. Of course he would never say it out loud — that’s Gilf for you — but behind his unblinking eyes I knew he was just as happy as I was to be back in the Pied Piper fold. 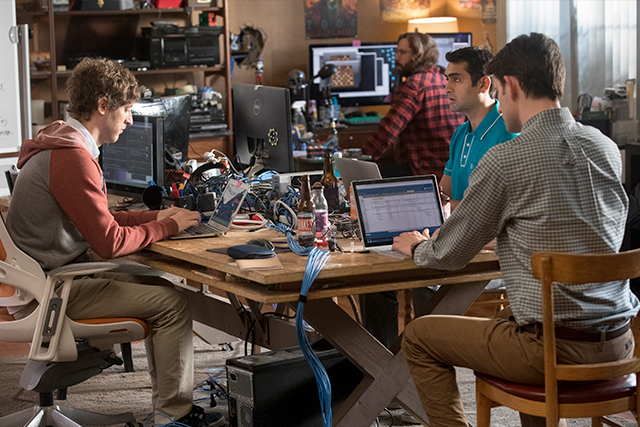 Oh, Gilfoyle is telling me he needs to encrypt my computer “to limit the consequences of Dinesh’s inevitable sexual failure,” so I better sign off. Until next time, readers! Where do I begin? Pied Piper Founder Richard Hendricks is missing. No, dear readers, this isn’t just a nightmare narrated by a raspy voice you heard on the other end of a ringing payphone by the Chevron station when you were thirteen. This is real. Richard Hendricks is missing, and has been for the last three and a half hours. I’m sure you’re all wondering how we got here. Well, earlier this week Richard was in an absolute state. After he and I weathered the storm of his nail-biting together, I watched helplessly as Richard again lost his sense of internal equilibrium. At one point he even walked into the pool without letting me know so I could lifeguard. But we turned a triumphant corner in the basement archives of late tech titan Peter Gregory. I’ll admit I was a bit off-kilter after seeing a self-driving car that once drove me to a traumatizing abyss. Yet amid the hoarded debris of this man’s life Richard found what he was looking for — proof that he was onto something great. What a moment it was! Then I arrive, a grim reaper with a scythe in the form of a patent number. I cut down the great oak of a dreamer’s dream. And now Richard has left the hostel without any indication of where he’s gone or when he’ll be back. I know the 911 operator is right: I’m being alarmist, and this was a completely unnecessary call. If I know Richard — and I know him better than anyone — he’s just taking a walk to process the news and mourn what might have been. Richard, if you’re reading this, come home! We’ll figure this out together. Oh, and your sandwich is wrapped in wax paper in the fridge.